Subject: CONGRATULATIONS!! !ONCE SPANISH LOTTO PROMO. The ONCE emails Gaming Board and all staffs of this great company are pleased to inform you that your email address has won the online lottery draw held on the 30/11/2006. The late release of this result was due to difficulties encountered in sorting out mixed numbers and email addresses. On behalf of the ONCE Lottery Board, we congratulate you for your email emerging as one of the winners of this draw. Meanwhile to clarify your doubts on how you were selected and frequent questions that you may likely ask (HOW DID I ENTER THIS CONTEST ??? HOW DID YOU GET MY EMAIL ADDRESS?? ?HOW DID I WIN???). The draw was done electronically with a RANDOM EMAIL DEVICE SYSTEM (REDS), and this is to encourage the use of INTERNET. Your email address was attached to Reference Number (25049-S38 D), and was picked up as One of the eight (8) lucky winning email Addresses. 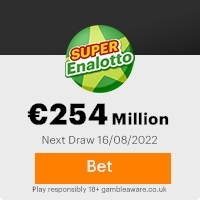 Your winning email addressee has been qualified to Claim a Cash Prize of â750,000.00(seven hundred and fifty thousand euros), from a total cash prize of â6,000,000.00 shared among eight (8) lucky winners. To file for your claim, contact the fiduciary agent by phone and email given below. By quoting your Reference number , your full name and address, Country, Telephone, mobile, fax number and occupation. The above claim agent will assist you in the processing and remittance of your winning prize (funds) to you. Also note that you are to contact and process your winning prize not later than five working days, after this date if you do not contact and process your winning prize, all funds will be returned to the MINISTERIO DE ECONOMIA Y HACIENDA as unclaimed. N.B: For proper verification on your lucky winning email prize, you are to visit our online website page (http://www.loteria.com/once.php) and indicate the date this email lottery programme draw of the ONCE SPANISH LOTTERY was held [30th(dia) -11(mes)- 2006(Ano)] and there you will find your result Reference Number (25049-S38). Please verify your informationâs on the website page before contacting your claims agent and keep all lotto information from public to avoid double claims!!!! This Email with the Subject "CONGRATULATIONS!! !ONCE SPANISH LOTTO PROMO." was received in one of Scamdex's honeypot email accounts on Mon, 29 Jan 2007 05:30:29 -0800 and has been classified as a Generic Scam Email. The sender shows as "bredacarlos@terra.es" <bredacarlos@terra.es>, although that address was probably spoofed. We recommend that you do not attempt to contact any persons or organizations referenced in this email, as you may expose yourself to scammers and, at the very least, you will be added to their email address lists for spam purposes.